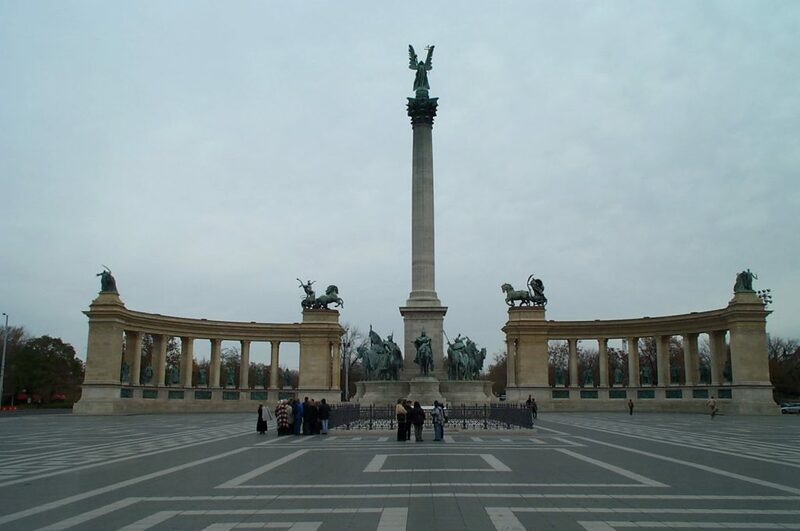 Although the major sights in Budapest were along the Danube, my favorite part of my city tour was along a district to the city’s northeast which appeared to be more of where the locals did their touring, as it were. Given that it was a cold November weekend, there wasn’t much to do outside but freeze, so the city was largely quiet–except out in this more remote part of the city. My journey was initially on foot, following a major artery called Andrassy utca, which parallels the city’s yellow-line subway (at least that is how it was identified at the time). On this street was a number of sights — including the Opera House, several embassies, the Oktogon traffic circle (surrounded with specialty shops), and the Kodaly Koroad, a large square of four monuments. The architecture along the way was fascinating to look at. Surrounding the tere are several museums and convention centers, which always have exhibitions going. 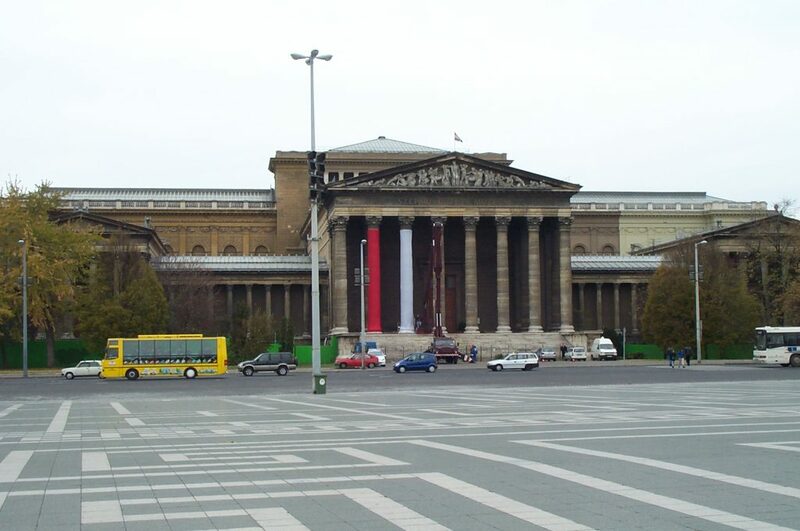 The third photo above shows the Museum of Fine Arts, and the Muscarnok Convention Center (the first photo) was next door. Meanwhile, just beyond the tere is a large city garden, graced by the Vájdahunyád Castle that now serves primarily as the National Agricultural Museum. 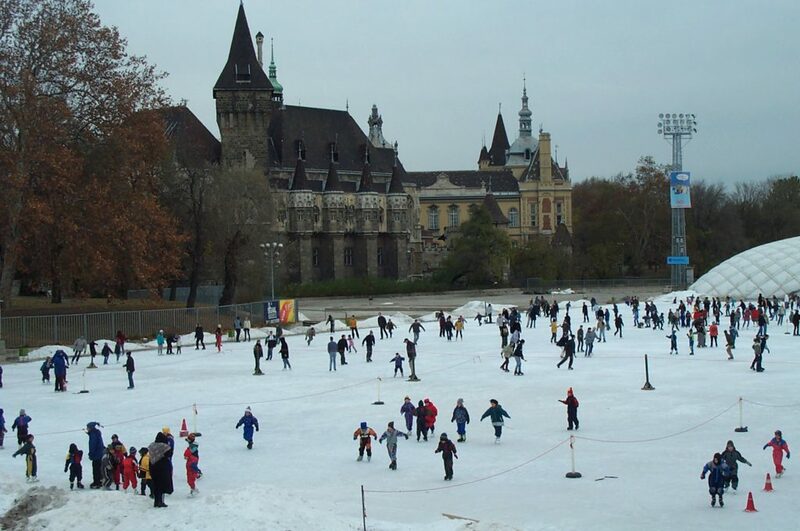 The Castle is the centerpiece of Budapest’s city park. On the day I visited, an artificial skating rink had been formed in front of the castle, producing the below picture that I used for some of my Christmas Cards that year! The lights showed that the rink stayed active in the evening. This was the largest gathering of people that I saw during the entire weekend. I wandered pretty much the full extent of the City Park, and it was tremendous. The back side of the castle is surrounding by a shallow lake, which had not yet frozen over, filled with swans and geese. The castle’s main church was gorgeous on the inside, and the cobblestone plazas and courtyards told of summers with cafes and ice cream shops and lots of people. Yet another reason to try to go back in warmer weather! Many Americans may not know this, but Budapest is known as the City of Baths. 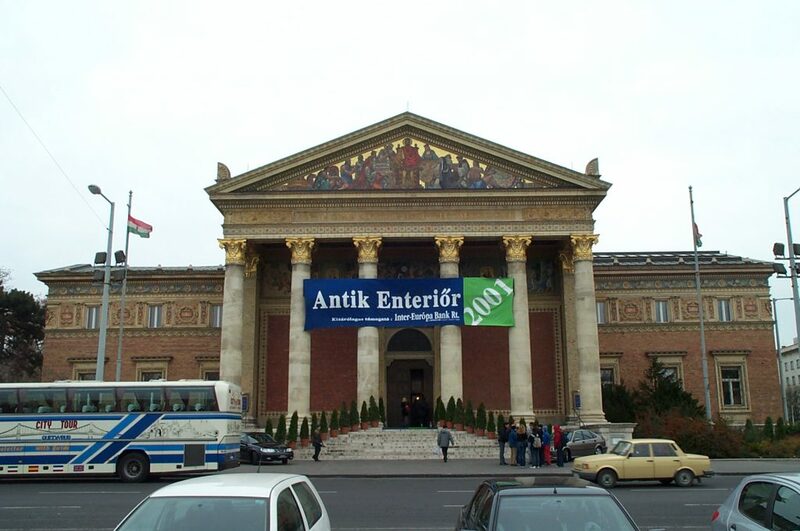 (In fact, there was a worldwide Bath convention held in Budapest whose prime order of business was to bestow that designation.) Budapest boasts several amazing and beautiful bathhouses, known as fürdő (foower-DOEH). 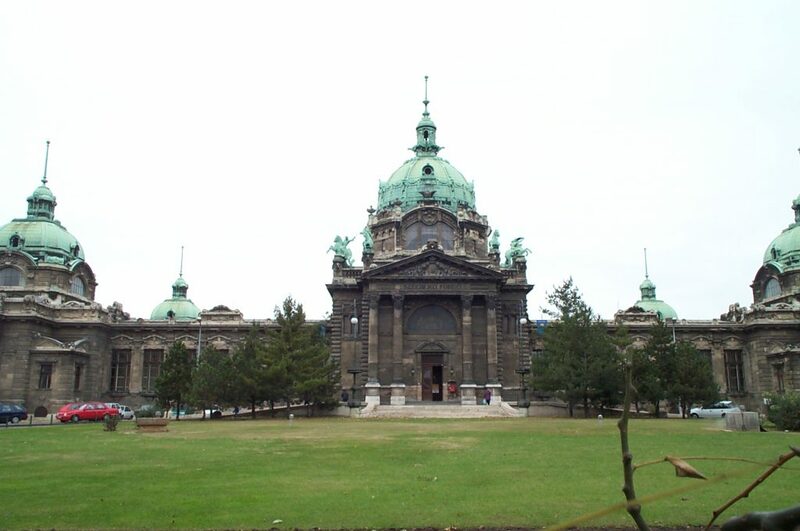 Among them is the Széchényi fürdő, pictured above. It was good to venture a little further away from the main tourist zone. Budapest is a really big city, so much bigger than one sees just standing at the Chain Bridge. I got a little taste of what the locals did when the weather drew colder, and I got a great set of winter scenes out of the deal!